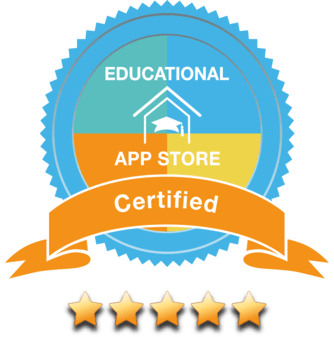 Our mission at the Educationalappstore.com is to help teachers and parents around the globe, to progress their younger child's education through the use of apps. In June 2018 there were in excess of 5.3m apps found across the major app stores, with an estimated 500,000 categorised as "Educational". In the same period, education represented the third-most popular category of active apps within the App Store , with a share of 9.21 percent of all app downloads . However, according to the Association of Psychological Science and are own field research, most educational apps are marketed towards young children with a large number not held to any science based standards or subject to certification. This results in many teachers and parents simply not knowing how or where to start. A discovery and recommendation engine, where the very best educational apps are organised according to learning outcomes, by qualified teachers for individual child’s needs. Because we think there are now too many apps deemed 'Educational' and that the larger marketplaces have become ineffective from a search and recommendation perspective. We believe that millions of children are not making it past the first stages of numeracy, literacy and science, because they learn at a different pace, in a different way and come from a variety of different backgrounds. However this does not need to be the case, as mobile devices and digitised content, such as apps, are becoming no longer unaffordable. So please support us on our journey, by either registering or subscribing to our services today, as we have a collective responsibility to maximise the future well being of children.